What is better than first year free? GETTING PAID first year! Are you keen on a career in the Infrastructure Industry or want to know where it can take you? Then make Connexis your first call! Ever wondered how to make electricity to charge your hair straightener, cell and laptop? How it is possible to have wifi at the beach house in the middle of nowhere?? How did they build that bridge over that canyon or cut that highway into the side of the hill??! Have you wondered who ensures when we turn on the tap clean water comes out? When natural disaster strikes, who heads out to keep New Zealand connected while the rest of us stay inside? Our Infrastructure Community keeps New Zealand connected day and night through all conditions. The Infrastructure Industry is where it’s at! At Connexis we want to give you an insight into the industry! We provide services for schools, teachers and students. Come on take a look! What is an apprenticeship or on-the-job training? Industry training is tertiary education, just like a university or polytechnic; however, you complete your learning and assessments at work. After 2-3 years of industry training (e.g. working towards a New Zealand Apprenticeship or Certificate) you will walk away with work experience, skills and a specialised trade qualification. Universities are known as the academic route to a career. After approximately 3-5 years of full time studying, you will (as long as you have passed!) be handed a tertiary degree or diploma, which you will then use to go out and find yourself a job. With Industry Training, you will have a job already, have years of experience on your CV, along with a healthy bank account or your first car or home from earning money straight from school..
A lot of tradespeople start their own businesses! Gain a nationally recognised QUALIFICATION! Gateway is a programme for senior secondary school students who are interested in a trade career. It gives you the opportunity to try out the job before committing to it. Have you ever wondered how much it would cost to build a road from Hamilton to Auckland, or what that telecommunication person is doing in that hole on the side of the road to keep you connected so you can snapchat your mate a picture of you as a dog? Gateway lets you take a look at the industry, meet lots of really cool people and check out how things work. And, you get to earn NCEA credits while you are at it! It also looks awesome on your C.V. If you are keen, tell your teacher to get in touch with us today! We currently have Civil & Water, Energy and Telco Gateway Programmes. Our Gateway programme is a mixture of soft skills and technical skills and units can be taken as a package (or the technical units on their own). Technical skill units: Students are partnered with an infrastructure company to learn skills on-the-job. Soft skill units: Theory units students work through in the classroom. By taking part in the Gateway Programme, your students get to meet potential employers and test out the industry, while completing relevant unit standards towards their training! Getting into the workforce can seem daunting at first, but we have a few things, tips and tricks in place to help you along. 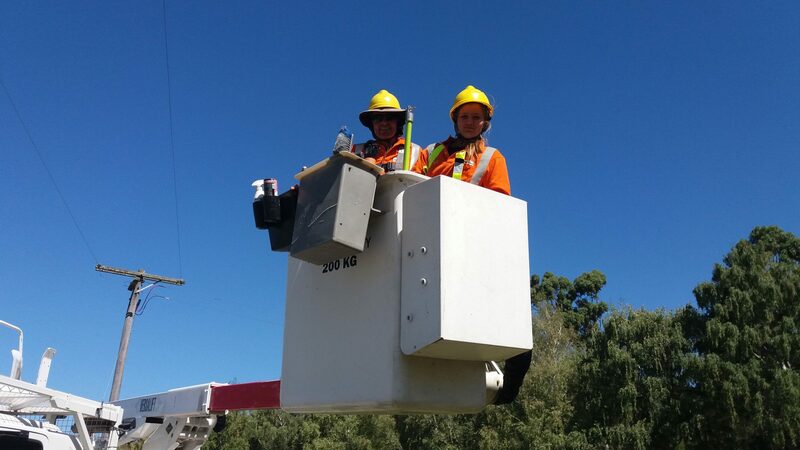 Having a positive attitude towards turning up for work, and putting in the hard yards will go a long way in securing a lifelong career in the Infrastructure Industry. We mean showing respect, putting your hand up for work, being on time, taking initiative and being motivated to get the work done and stick to your training. Most importantly is that you are good at listening and following instructions as these two skills will ensure you stay safe and keep your team members safe while you are at work on Infrastructure sites. Yes this is very important! If you do not have at least your restricted drives licence we encourage you to start working on that now. Sometimes you’ll need to travel to get to your worksite, and being able to get yourself to and from work is a HUGE tick for employees. 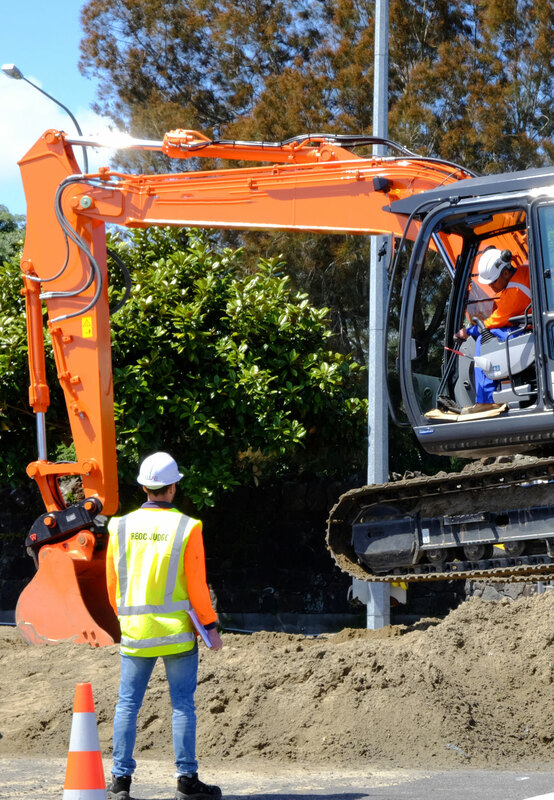 It’s also a great first step to getting behind the wheel of the massive excavators and trucks onsite! Lets face it, who doesn’t want to drive one of these?! Test your knowledge of the road code. To apply for a job, you will need to hand in a CV and cover letter, so it’s worth taking some time to get them right. Your CV should include your name and contact details, your skills, what you achieved while you were at school, as well as your education and any part time jobs you’ve had. Your CV should also include the sports teams and other extracurricular activities you were part of – this shows your employer that you can work in a team and are reliable. Your cover letter supports your CV and tells the company how the skills you have developed specifically relate to the job you are applying for. Make sure your cover letter is no longer than one page! Check out Careers NZ video on ‘What to include in your CV’. Did we really just say that – yes, yes we did! It is hugely important in the workplace to be drug and alcohol free. You will be working around heavy machinery and it is not only important for your safety but the safety of others around you that your mind and body are sharp. Infrastructure companies WILL drug test you before they take you on. You don’t want to lose out on a job because your drug test did not come back clean. Connexis has many events on throughout the year that teachers, students and schools can get involved in. Got a Trade? Got it Made! is a national campaign to raise awareness of learning and career opportunities in New Zealand’s trades and services. 90,000 young Kiwis aged 15 to 24 years are not in employment, education or training. This campaign focuses on the critical importance of all our young people seeing the benefits of ‘earn and learn’ as a pathway to great jobs and successful careers. Connexis is a proud partner of Got a Trade? Got it made! alongside eight other industry training organisations – BCITO, Careerforce, Competenz, HITO, MITO, Primary ITO, Service IQ and The Skills Organisation. Collectively, we represent more than 143,000 learners and 10,000 employers who collectively make up 75% of the workforce. Think speed dating, but for a job interview. Got a Trade? Got it Made! SpeedMeets involves schools, students and trade industry employers coming together speed dating style. Each student gets to sit down with the attending employers for a quick six minute mini interview. At the end of each meeting students and the employer decide whether they want to find out more, forming mutual matches and potentially the students finding employment opportunity. Connexis, as part of Got a Trade? Got it Made! attends the annual CATE conference. Here we have had many valuable discussions with secondary school teachers and careers advisers. We look forward to meeting you there!